The month of September is DC’s Villains Month, and so far, we’re digging it! 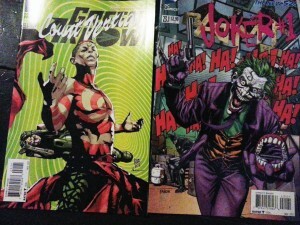 I just read two of this month’s villains comic and both were great. They’re straight origin stories. I knew nothing about Count Vertigo, so knowing his origin will add to my reading of the Green Arrow series. The Joker story touched a bit on Joker’s childhood and revealed part of the reason for Joker’s insanity. Whether you’re looking to enhance the current series you’re reading or to enjoy a stand alone story, these books are great!